Menachem Kaiser's digital map of the Vilnius Ghetto. Photo: Revilna.org. "How people perished in the ghetto—that I understand; what I cannot understand is how they lived there,” writes Second World War refugee and esteemed Yiddish poet, Chaim Grade. When Canadian author Menachem Kaiser arrived in Vilnius two years ago to begin a Fulbright Scholarship focused on Holocaust research, he observed firsthand the stark reality behind Grade’s statement. 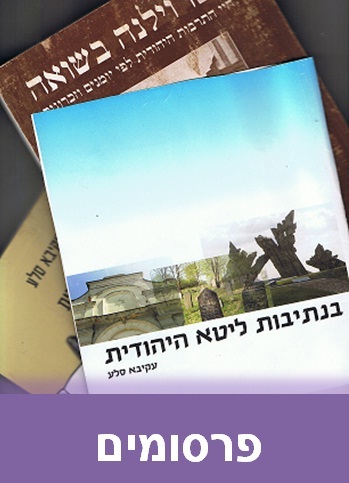 Debuting this month, the project’s website, www.revilna.org, provides a new platform for virtual exploration of Vilnius, also commonly known in Jewish circles by its Russian name, "Vilna,” home of the Vilna Gaon (Rabbi Elijah ben Shlomo Zalman Kremer), the foremost leader of non-Hassidic Jewry during the 18th century. Kaiser’s team of cartographers and historians has produced an integrated tool that uses latitude and longitude coordinates to piece together the layout of the old city while integrating textured stories, timelines, biographies, and photographic exhibits. "I was interested in the idea of the ghetto not as an entity, but rather how it came into existence, and in imagining the ghetto’s daily function as a place where 10-20,000 Jews lived and struggled despite Nazi persecution,” Kaiser says. Re-imagining ghetto life through today’s electronic media has created educational opportunities and has helped to rebuild and redefine identities lost in modern mainstream Lithuanian society. The site of the Great Synagogue of Vilnius along with, at right, a monument of the famed Jewish leader from Vilnius, the Vilna Gaon. Photo: Julius/Wikimedia Commons. Speaking generally about the Holocaust, Kaiser underlines the enormous potential of the Vilnius Ghetto Project to reach beyond textbooks, providing a highly accurate and accessible tool for students of history, one that seemingly leaps off the page. Every coordinate on the online Vilnius map serves as an expandable icon. Visitors simply click on a point of interest. Flash media then provide summaries of events, and navigational tools direct further reading. Developing the interactive map was not an easy task. "Not many people have ever really cared that much where a specific building was. I’ve had to compare and contrast contradictory information from diaries and photographs in order to get the stories right and make the map accurate. Sometimes there are holes in the record,” Kaiser says, admitting that the website should not be regarded as the academic authority on the Vilnius Ghetto. Scholarly articles linked by the map are limited in their breadth of analysis, and sources are not always cited. From a visitor’s perspective, however, the website aims to be user-friendly and an engaging introduction to the Vilnius Ghetto’s history. "Even if you aren’t familiar with how to browse an interactive map, you can still get at all the great content,” says David Heyman, managing director of Axismaps and designer of the Vilnius Ghetto online platform. The website’s homepage offers categories that help visitors begin their tour. Sections such as "Art and Culture,” "Health and Education,” and "Resistance” steer traffic, bookended by summaries of the larger historical moment of 1941-1943, when the Vilnius Ghetto was first formed and subsequently liquidated. This underlying, fact-based storyline can be accessed at any time through the mapping feature, but viewers are encouraged to pursue their own tangents, enhancing the experience through multiple and interconnected perspectives of ghetto life. The Vilnius Ghetto Project was developed under the aegis of the non-profit YIVO Institute for Jewish Research, a New York-based group whose mission is to preserve, study and teach the cultural history of Jewish life in Eastern Europe, Germany and Russia. When the project is complete, schools, museums and libraries around the world will be able to present the ghetto map as an interactive installation, supporting virtual tours on large, touch-screen monitors. A monument for those who died in the Vilnius Ghetto during the Holocaust. Photo: Alma Pater. In addition to launching the website this month, Kaiser is inaugurating a Kickstarter fundraising campaign to finance implementation of a mobile app and additional improvements to the platform. "From the beginning, our challenge was to organize the available information in a way that is intuitive, accessible and well-designed, so that people can literally tour the ghetto on their own two feet,” Kaiser says. 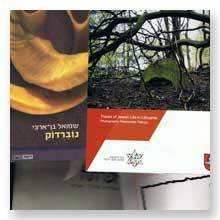 Jeffrey F. Barken frequently reports on Israel news topics and Jewish-interest literature. A graduate of Cornell University and the University of Baltimore’s MFA in Creative Writing and Publishing, he is the author of "This Year in Jerusalem,” a collection of stories based on his experiences living on a kibbutz in Southern Israel from 2009-2010. Debuting this month, the project’s website,www.revilna.org, provides a new platform for virtual exploration of Vilnius, also commonly known in Jewish circles by its Russian name, "Vilna,” home of the Vilna Gaon (Rabbi Elijah ben Shlomo Zalman Kremer), the foremost leader of non-Hassidic Jewry during the 18th century. Kaiser’s team of cartographers and historians has produced an integrated tool that uses latitude and longitude coordinates to piece together the layout of the old city while integrating textured stories, timelines, biographies, and photographic exhibits.